If you are looking for the perfect gift but nothing comes to mind, a gift certificate from your favorite locally owned hardware store is tough to beat. 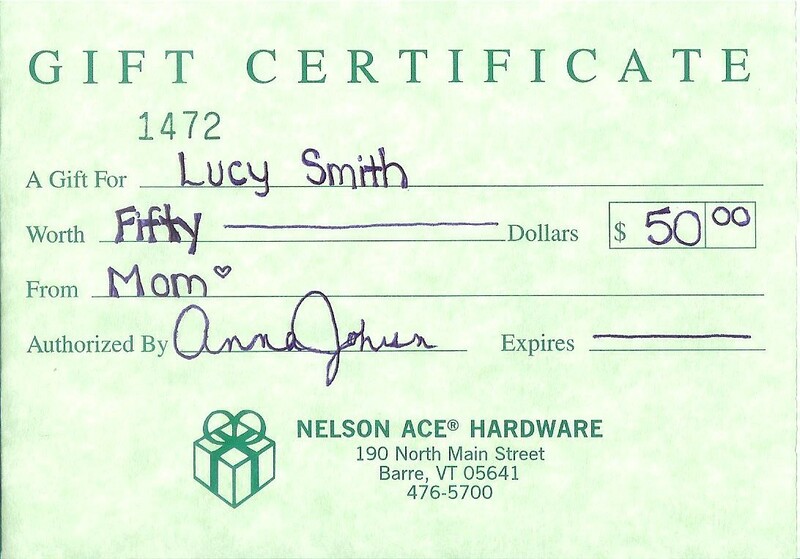 Nelson Ace Hardware gift certificates can be purchased at the store in any dollar amount. You can personalize your gift by writing a little note and signing your name or we will fill it out for you. If you are giving a gift to someone out of town we also have Ace Hardware gift cards that can be purchased and used at any participating Ace store in the country.